As the weather warms up, it’s time to enjoy some sun, fun, and food. One of our favorite ways is to go to a New Orleans food festival. Many of these festivals take advantage of beautiful outdoor venues and feature live music and other activities to keep you entertained. But the biggest attraction, of course, is the food. No trip to New Orleans is complete without tasting some of our signature foods. From po-boys and muffulettas to seafood, specialty cocktails, and French desserts, there’s something for everyone. Take a break from the endless procession of bars, restaurants, and bakeries to experience New Orleans food culture at one of these spring food festivals. Hogs for the Cause is one of those New Orleans special events you won’t want to miss. This festival brings you the best of New Orleans pork and BBQ, all for a good cause. Hogs for the Cause raises money to support children with pediatric brain cancer and their families, so don’t skip this chance to help out and eat well while you do it. Sample incredible food from local chefs and the festival’s cook-off competitions while listening to live music at the UNO Lakefront Arena. Children under age 12 get in for free, so you can take the whole family! With more and more restaurants, boutiques, and other shops moving to Freret Street, it’s the perfect place to hold a New Orleans food festival. Stop by the stretch of Freret Street from Napoleon Avenue to Valmont Street, approximately three miles from La Galerie Hotel, between 11:00 a.m. and 6:00 p.m. It’s free to attend, but be sure to bring your wallet so you can buy art, clothing, jewelry, and, of course, New Orleans food and spirits. The Freret Street Festival will also feature live music, pet adoptions, and the Big Easy Rollergirls. It’s a great year to attend the French Quarter Festival, which is celebrating its 35th anniversary this April. Walk the few blocks from La Galerie to New Orleans’ renowned French Quarter to see the biggest free jazz NOLA music festival in the world. Nearly 300 musicians and bands of various musical genres will perform this year, and there will be mouthwatering food and drinks from a long list of New Orleans vendors, including Antoine’s, Court of Two Sisters, Galatoire’s, Tujague’s, Plum Street Snoball, and many more. The New Orleans Jazz & Heritage Festival is another huge celebration of our city’s music, food, and culture. There are twelve stages for musical performances, plenty of handmade arts and crafts for sale, and even a special Cultural Exchange Pavilion in honor of the New Orleans Tricentennial. Find inspired jazz food dishes from the endless list of local vendors and even see how they’re made by watching the cooking demonstrations at the Food Heritage Stage. The festival is held at the Fair Grounds Race Course about three miles from La Galerie. Nothing says summer in New Orleans quite like boiled crawfish! You can’t find them at any fast food drive-through, but local restaurants and backyards around the city fill with pots of boiling crawfish, vegetables, and seasonings during crawfish season. Crawfish Mambo is your chance to try crawfish prepared by up to 100 different boiling teams. Find your ideal blend of seasonings and “extras,” from the standard corn and potatoes to more unique fruits and vegetables. You can vote for your favorite team, listen to live music, buy local art, and, most importantly, take advantage of the all-you-can-eat crawfish from 11:00 a.m. until 5:00 p.m. If you’re looking for a festival where you can appreciate local food and nature, then Bayou Boogaloo is the New Orleans food festival for you. This festival centers around Bayou St. John, a charming bayou originally used for transportation and now a popular site for paddlesports and natural scenery. Admission to the festival is free, and there will be local food vendors, live music, handmade art, and fun-filled activities, such as the annual paddle boat race. Bayou Boogaloo is just a few miles from La Galerie and accessible from the Canal Streetcar line. Learn how to get there using our Streetcar Guide. Of all the New Orleans food festivals, this is the one every wine lover should attend. More than 1,000 wines from around the world are available for tasting at the New Orleans Wine and Food Experience. 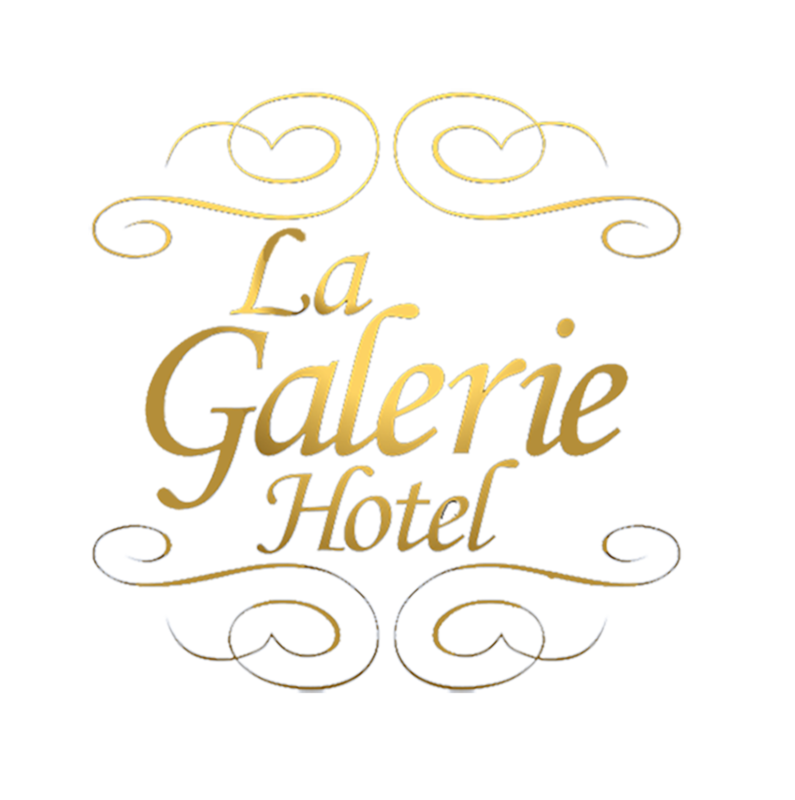 Many of the festival’s French Quarter events take place within walking distance of La Galerie. Pair wine with food from our city’s finest restaurants, participate in special tasting events, and refine your palate with professional seminars during this five-day festival. The New Orleans Greek Festival is another great outdoor event on Bayou St. John. This year the festival celebrates its 45th anniversary as well as the New Orleans Tricentennial with special activities and events. Taste homemade Greek and New Orleans food and spirits, listen to live music, watch traditional Greek dances, and take a tour of the historic Holy Trinity Greek Orthodox Cathedral. You can even get the ingredients and instructions you need to make Greek dishes at home when you stop by the on-site Greek grocery and attend the festival’s authentic Greek cooking demonstrations. Delicious Louisiana oysters are less than half a mile away from La Galerie at this New Orleans food festival. Held in Woldenberg Park, it’s free to attend and enjoy the great outdoors and live music. But the biggest appeal is the oysters. Buy your oysters any number of ways: raw, charbroiled, smoked and fried, or prepared in another dish. There’s also an oyster shucking contest, an oyster eating contest, cooking demonstrations, local crafts for sale, and more, so don’t miss one of our city’s favorite French Quarter events: the all-day New Orleans Oyster Festival on June 2nd and 3rd. Those coming into New Orleans from out of town may not have heard of creole tomatoes. Locals, however, are used to seeing the seasonal produce in grocery stores, farmers’ markets, restaurants, and even roadside stands. So what is a creole tomato? Grown in the rich soil of Louisiana, these tomatoes are kept on the vine longer because they don’t have to travel as far, giving them a fresher, sweeter taste. Located in the French Market, a great place to go for many French Quarter events, this quirky festival is just half a mile from La Galerie. Stop by for live music, cooking demonstrations, activities, the popular Bloody Mary Market, and plenty of tasty creole tomatoes and tomato-based dishes. New Orleans food festivals offer residents and visitors the opportunity to taste a variety of dishes from the city’s best restaurants and vendors at affordable prices. Take your pick from our top 10 New Orleans food festivals this spring to experience local cuisine in a fun, fresh way!